Using econometric modelling, the study, which was commissioned by the World Federation of Advertisers and other industry partners, found that advertising contributed nearly 6m jobs across the EU and 4.6% of total GDP. 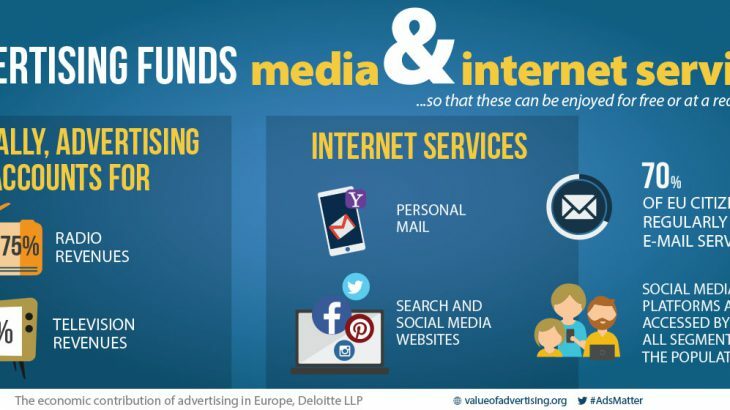 Online, advertising largely funds free services that people across Europe use at little or no cost. For example, around 70% of EU citizens regularly use email services, while social media are accessed extremely widely. The European ad industry is calling for a moratorium on further restrictions on advertising to ensure that the overall impact of any new rules, including their unintended consequences, is fully assessed. Right now, the industry is concerned that the revised Audio Visual Media Services and ePrivacy directives will create additional restrictions, hurting the European digital economy and reducing its potential to create local champions and more jobs.